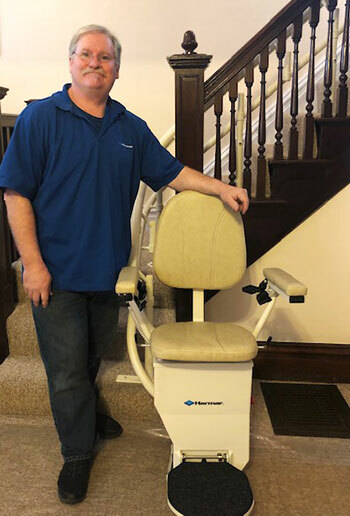 Slim design folds to 10.5"
Why have over 1500 people in Saint Louis, Kirkwood, Saint Charles, Jefferson county, and the surrounding areas chosen Merrett Stairlifts to provide a stairlift for their families? Free “no pressure” evaluation of your stairs and “no surprises” pricing. 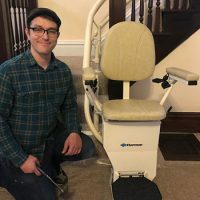 Personally install your stairlift and prompt service when needed. Most stairlifts installed within one week of order. Takes about 2 1/2 hours. As new owner, clients can expect the same integrity and dedication from me as they received from Merrett. I have been self employed as a remodeling contractor since the mid 90’s. I started working with Merrett in 2012 and received my Harmar installer certification in 2013. 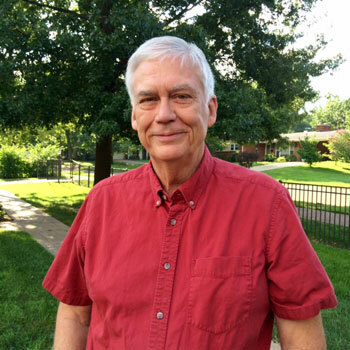 Founder Merrett Litherland started Merrett Stairlfts in 2003.